The Tacoma is certainly one of the more well known and coveted Overlanding vehicles in the United States. As a close relative to what is considered to be one of the most bulletproof cars in Aus, the Hilux, means that it should share in its incredible reliability. 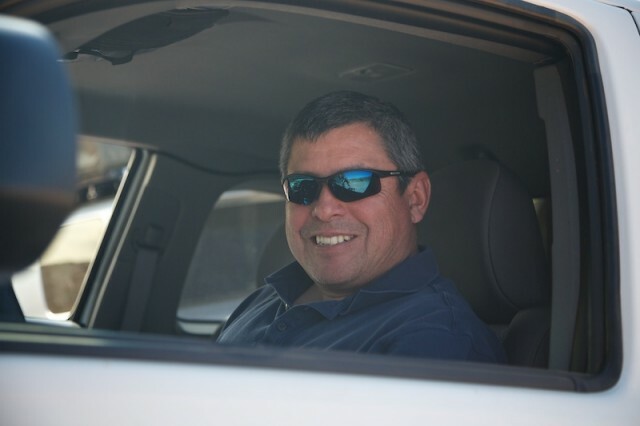 Now if you take a 2013 Tacoma Access Cab and throw a few modifications onto it like Lou Ortego from Restop has done, then you end up with one mean little machine. To start this project Lou knew that the best way to protect his investment was to throw on a whole range of Demello Off-Road body armor onto it. 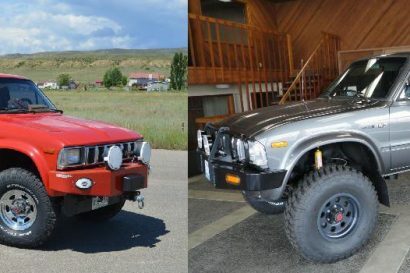 On the front he put on a Baja style front bumper, a set of weld-on Rock Crusher sliders, and a custom rear swing out bumper. 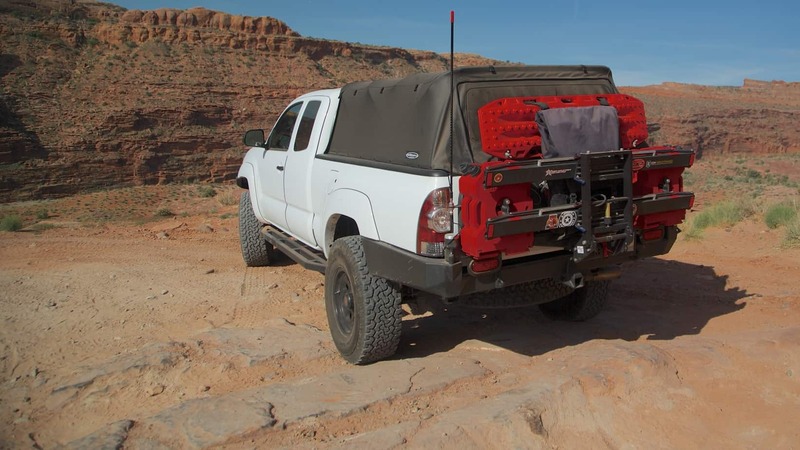 The rear bumper is certainly one that has been well put together, it allows Lou to carry a large range of gear. 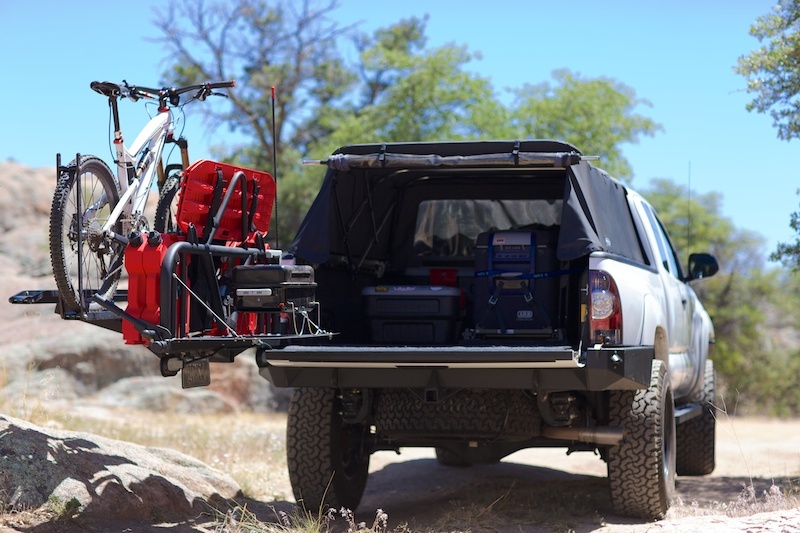 It can carry a drop down table, set of red Maxtrax, 4 red 2-gallon Rotopax cans, a Trasharoo, and a USA Quik-Rack 2 bike carrier. Now if you ask me, that is one well equipped rear swing out. 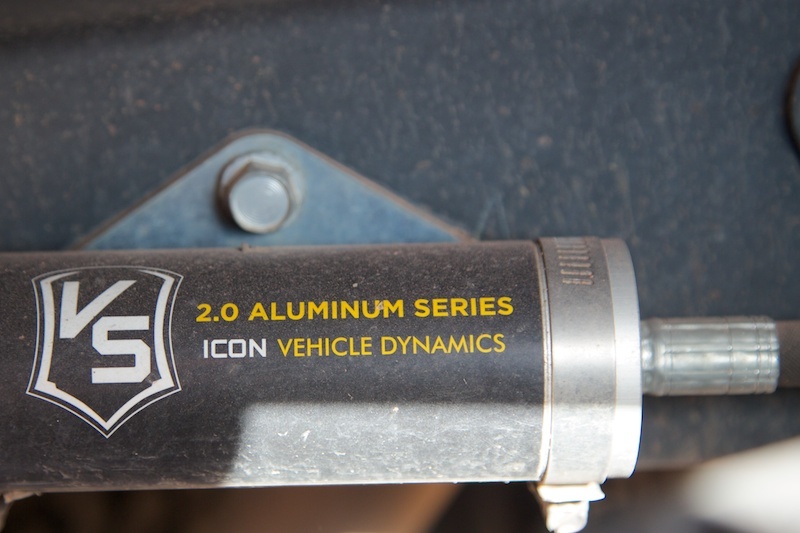 To help carry this extra load and to replace the underperforming factory suspension, Lou approached Icon Vehicle Dynamics. On the front end they installed billet upper control arm assemblies combined with Icon extended travel coil-over shocks. 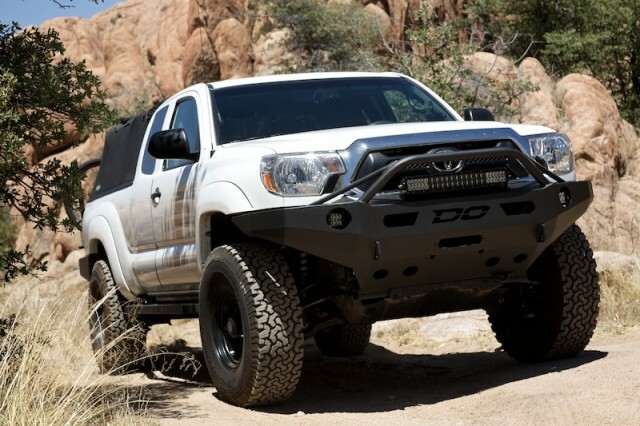 This gives the front of the Tacoma about 2.5-inches of lift. 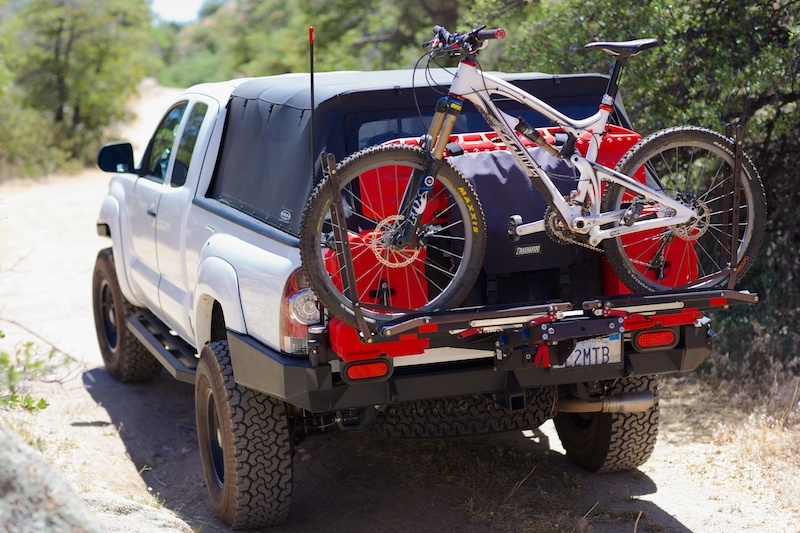 The rear of the Tacoma is lifted with All-Pro Expedition heavy duty springs and Icon 2.0 Aluminum series shock absorbers with remote reservoirs. 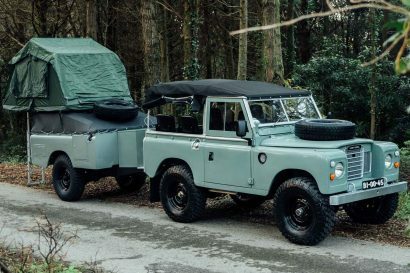 Lou says that the Icon kit is the most important upgrade he has done as it allows him to carry gear for work or have great performance off-road. To keep Lou’s truck stuck to the ground he runs BFG 285/75R16LT All Terrains and they fit snuggly around Level 8 Tracker 16×8 matte black rims. 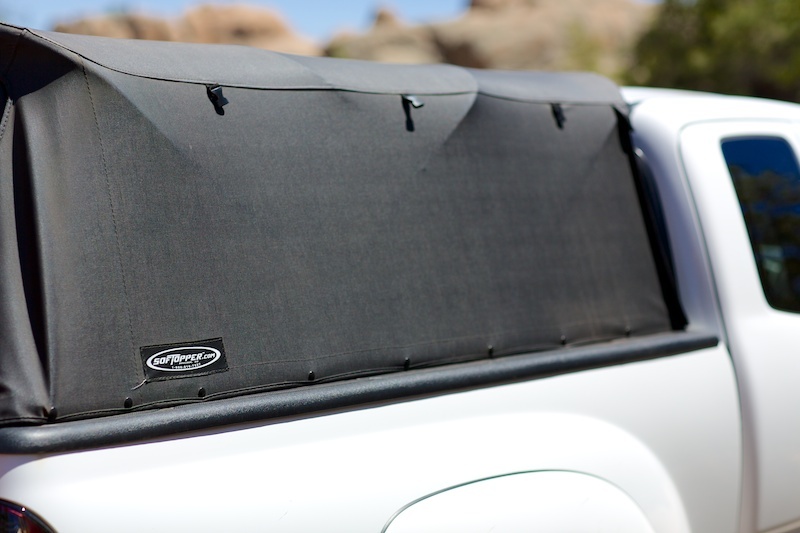 A great addition to the Tacoma for both looks and usability is the Soft Topper. This good looking black canvas back uses a combination of zippers and Velcro to ensure that it stays weatherproof. Hidden under the canvas is an ARB 50 qt fridge on a slide out, as well as a Bed Rug and Adventure Trailer storage boxes. Lou is still working on fully decking out his car, and has a list of future improvements a mile long. 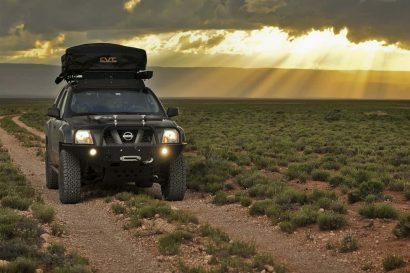 A few of the big items on the list are: a Nitro 5.46 re-gear, National Luna dual battery system, Superwinch Talon 9500pb winch, and he hopes to eventually upgrade the rear shocks to Icon 2.5s over the 2.0s. The truck and Lou will be getting out and about over the next few months, if you are around at the FJ Cruiser Summit make sure you chat to Lou at Restop and check out his decked out Tacoma.